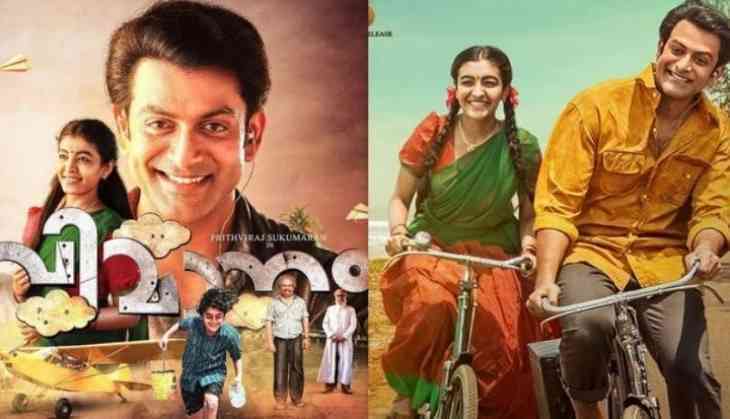 The makers of Malayalam actor Prithviraj Sukumaran's upcoming film Vimaanam have released the motion poster on Wednesday. Tipped to be an adventure-drama, the film has been bankrolled by Listin Stephen, the maker of Malayalam classic hits like Traffic and Usthad Hotel. Vimaanam also marks the directorial debut of Pradeep M Nair and acting debut of Durga Krishna in the main female lead. The film is said to be based on the real life story of Saji Thomas, a speech and hearing person who built an aircraft on his own. The motion poster gives a glimpse of the sketch and model of the aircraft, which is touted as the USP of the film. Prithviraj Sukumaran will be seen portraying the role of a deaf and mute person in Vimaanam. From a school dropout to the inventor of an aircraft, the Malayalam superstar will be playing different life stages of the main character in the film. His role is also said to be one of the most challenging roles of Prithviraj's 15-year old acting career. Vimaanam also stars an ensemble star cast including Lena, Anarkali Marikkar, Praveena, Sudheer Karamana, Saiju Kurup, and Alencier Ley Lopez. The film is all set to have wide release on the auspicious occasion of Christmas.